No trip to Florida is complete without taking advantage of the water, and renting a boat is the best way to experience it up close. Florida has no shortage of barrier islands that are begging to be explored—who knows what you might discover? If you’ve got your sights set on adventure, reserve your vessel at one of these 10 best boat rental places in Florida and set sail for excitement. 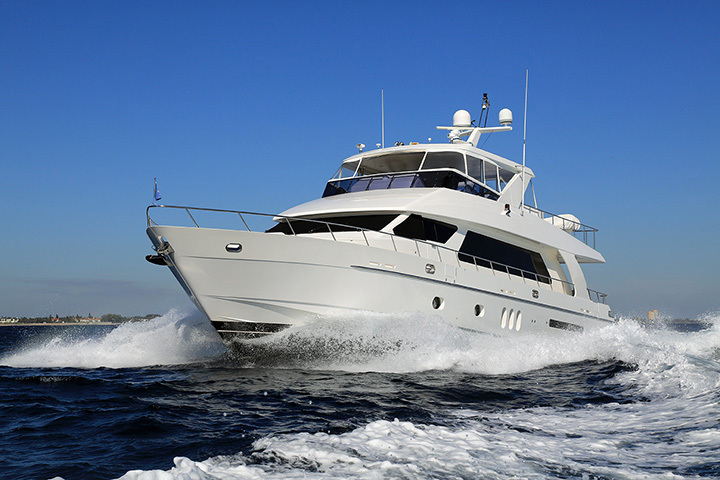 You only live once, so why not enjoy life on the best boats in Florida? Their fleet of rental yachts and boats is just the beginning. You can also charter a yacht to the Bahamas or other destination and let someone else do all the work while you relax and enjoy the view. For a more budget-friendly adventure, they also offer jet ski rentals, banana boat rides, parasailing, and snorkeling excursions. From catamarans to yachts, day trips or romantic cruises, team building exercises or sailing school, you won’t find a more comprehensive boat rental offering than right here. Their selection is one of the biggest in the state. There’s plenty to do on the water in and around Tampa Bay, but their multi-day options give you the flexibility to hit the open water and journey to some of the best little towns up and down the Gulf Coast. This multi-location boat rental agency offers boat rentals, jet ski rentals, and charters, so the only limit is your own imagination for fun. From fishing to sunset cruises to snorkeling trips and more, your day on the water is more affordable than you might think. This agency is also pet-friendly so your favorite four-legged pal can enjoy the ride, too. Whether you prefer pontoons or deck boats, this place knows how to suit your style. Their fleet includes boats from Stingray and Bennington to give you a great experience. Plus, they also carry all the towable toys you could want to make your day on the water eve better. With prices starting at under $200 for a half day, you get quality and value in every outing. They offer boats for fishing or just cruising around on the water. Their location puts you in close proximity to myriad islands and wildlife areas, so you’ll have plenty to see and do on your excursion. Key West was made for boating, and you’ll find the best ones at Florida Keys Boat Rentals. Whether you want a custom private charter or set out on your own for fishing or fun, this place has you covered. Aside from their boat rental service, you can also book other activities like a dolphin tour, mangrove exploration, sunset dinner cruise, or a snorkeling adventure. Whether you want to kayak near the shore or take a cruise far beyond the breakers, you’ll want to reserve your rental here. This place excels above other rentals in the Florida Keys because they don’t just rent you the boat— they make sure you know how to maximize your time. They know all the best places to visit and can show you how to get there with your rental, from dining to fishing to diving and more. With the beautiful blue waters of the Gulf Coast whispering your name, there’s no better way to answer the call than with a pontoon boat rental. This place is known for their quality rentals and for their location near mangroves, sugar sand beaches, and other picture-perfect vistas. They also offer a unique service—a beachside barbecue on a remote island that you can add to your boat rental for a fee. The area is known for its dolphin and manatee sightings, so keep your eyes open and enjoy the ride. This boat rental service and membership club has an amazing fleet full of the newest models of boats on the Florida coast. From sunset cruises to fishing charters to half day or full day rentals, your day on the water is as unique as you are. If you rent a boat in Florida a few times a year or more, a membership here might be the perfect solution. Situated near St Pete beach and Tampa Bay, you can rent a boat for a day of sightseeing or watersports—or a little of both. The area is home to some of Florida’s best birdwatching spots. Plus, there’s always plenty of fishing opportunities, dolphin sightings, swimming, and shelling to give you a full day of fun on the water.